Many brides choose to legally change their names after getting married. 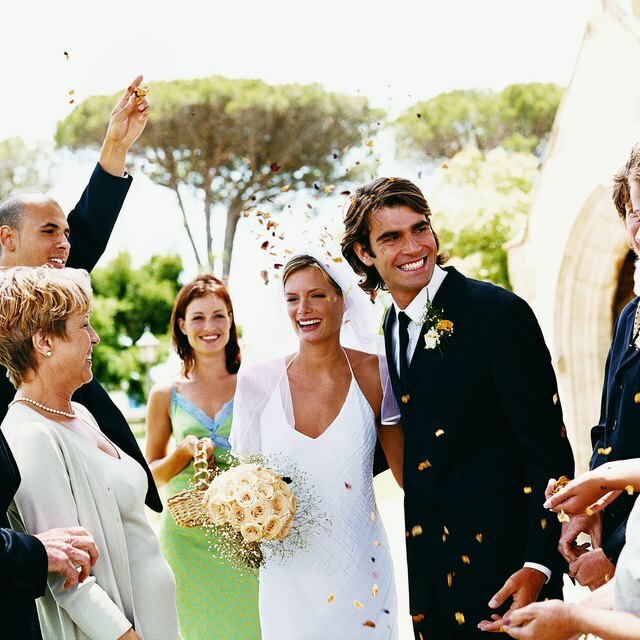 Many brides choose to change their legal name following the wedding, taking their husband's surname. While changing your name is an important decision, the process does not need to be a hassle. Changing the most important documents, such as legal and government identification, first will help the rest of the process go more smoothly. The first step in the name change process should be changing your name legally with the Social Security Administration. You need to do this before you will be able to change your name on most other documents, such as your driver's license or credit cards. To change your name with the Social Security Administration, you need to fill out an Application for a Social Security Card (Form SS-5). Go to your local Social Security office and show proof of your legal name change (such as a marriage license), proof of identity (such as a drivers license, passport or birth certificate) and your current social security card. You will be issued a new card with the same social security number but your new name. Go to your local Department of Motor Vehicle office and change the name on your driver's license. You will need to bring your old driver's license, your new social security card, your marriage license and possibly other identifying documents, such as a passport or birth certificate, based on your state's laws. Once you have changed these legal documents, make sure you inform your employer of your legal name change so it is reflected on your paychecks. You will need to fill out new tax forms (the federal W-4 and state tax forms) as well. Once you have completed all your government name change documents, you should change your name on all bank and credit accounts, including any mortgages, student and car loans. Some companies will allow you to change your name over the phone, others will require you to mail or fax copies of your new social security card and/or marriage license to change your name on the account. Call each company or check their website to learn individual policies. It can be helpful to create a pile of all statements, bills and mail that comes addressed to your old name; many will have forms on the back for name or address changes. Create a pile and deal with it once a month.